← Is a “Barrel Tour” in your future? It really doesn’t matter what time of year it is, I can always find a reason for sparkling wine. Even though I have and still do enjoy a bottle of expensive French champagne, for most other special occasions or just because I want to, a really good home grown bottle of sparkling! Although I do have one of my favorites here in the Willamette Valley, Oregon, my all-time favorite is in Northern California, Gloria Ferrer Vineyards. 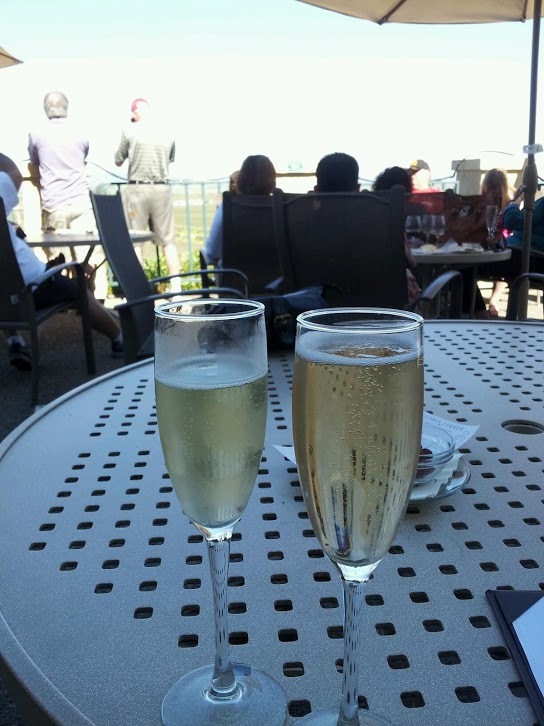 Gloria Ferrer Vineyards was the first winery in Sonoma to produce sparkling wines. With Spanish influences and its “Old World” sustainable practices, this wonderful winery was first established in 1986. This picturesque winery is located on its 300 plus acre’s vineyard, dedicated mostly to its Pinot Noir vines. After years of experimentation with various clones, with Pinot Noir and Chardonnay, they have found near if not perfection in their wines. Family history and their dreams to produce sparkling wine in the United States has been one that took centuries to achieve. In the early 1930’s Pedro Ferrer Bosch came to the U.S. from Spain where he had an established sparkling wine business, with an intent to produce the same here. Regretfully, his dream was never realized with his unfortunate death during the Spanish Civil War. In the early 1980’s his son Jose and wife Gloria while visiting Sonoma found and purchased the present day vineyard property, and have fulfilled the dreams of Pedro Ferrer Bosch. 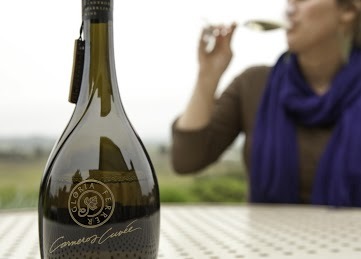 The end results in your glass, as the delightful bubbles tantalize your senses, is a blend of fifteen different wines and two years of ageing while sitting on the yeast to create the magnificent flavor in your first sip. You immediately find you your senses engulfed with the scent of lemon, pear strawberry and a hint of vanilla, with a finishing touch of maybe rose petal. What follows on your first sip is an unexpected creamy, apple, raspberry with watermelon highlights, and bright, clear acidity. You end with just what you should expect a pleasing long finish that begs for more. This Brute Rose is ready to drink now and if you like it as much as I did, you can certainly put a few bottles in your wine cellar for another 8-10 years for enjoyment. The Gloria Ferrer 2008 Sparkling Brut is in my opinion one of the finest sparkling wines produced anywhere, and occupies 3 rows in my wine cellar, and is often what puts a smile on the faces of my guests. Having sniffed, and sipped many a glass of sparkling’s in Europe as well as the few producing here in the U.S., this would be well worth the price and the experience of a try. If you spot a bottle or a case in your local wine shop, I would highly suggest picking up a bottle for tonight, and one for another. You can also order from most states on-line and have it in a few short days. This sparkling wine pairs well with many choices from smoked salmon, mussels, prawns and of course don’t forget oysters, or just as an aperitif. This entry was posted in Uncategorized and tagged california, champagne, Gloria Ferrer, sonoma, sparkling, storiesbygary, wine, wine tasting, winery. Bookmark the permalink.